Welcome to Phoenixville Public Library’s 2018 Adult Summer Reading Program! Program runs June 11 through August 11. You must be at least 18 years old to qualify. 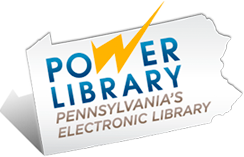 Read any book or listen to any audiobook from any Chester County library or the OverDrive eMedia Catalog. Check in your book or audiobook at the Circulation Desk in the Adult Library or bring your list of eMedia loans to the Circulation Desk. Request a book review card for each title you check in, or that are listed in your eMedia loans. Alternatively, you may request cards at time of checkout. You must complete both sides of each card. Each book review card doubles as an entry form for a weekly raffle drawing for a gift card to a local restaurant or merchant. Plus, for each book/audiobook you check out from any of Phoenixville Library’s book display areas – including the “new items” shelves — you’ll receive a bonus raffle entry card. The more books you read and check in, the more chances you’ll have in each drawing. You may hold onto your cards and submit them for a later drawing, if you wish. Place completed book review cards in the designated box at the Adult Library Information Desk when you check in your book/audiobook. Each program participant who has submitted at least one book review during the course of the Summer Reading Program will be automatically entered into a grand prize drawing for a $100 Amazon gift card at the end of the program. Raffle winners will be contacted by phone and e-mail. We will post selected reviews and display your best-loved books in the Library throughout the summer.